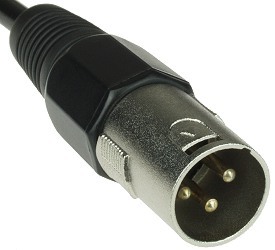 Port and Pin Numbers: The port and pin numbers are usually embossed or imprinted on the plug-in end of the battery charger connector. 2-Port Inline - 2-port inline connectors are used on some versions of Rad-2-Go and Zappy scooters plus a handful of other Chinese-made electric scooter brands. 3-Port Inline - 3-port inline connectors are by far the most common type of battery charger connectors used on electric scooters. They are used on most Chinese-made electric scooters and bikes including the following brands: Razor, Rad-2-Go, Boreem, E-Scooter, Scoot-N-Go, Sunl, Terminator, X-Treme, plus many others. 3-Pin XLR - 3-pin XLR connectors are commonly used on 12 Volt, 24 Volt, and 36 Volt electric scooters. They are used on the following scooter brands: eZip, IZIP, Currie, Schwinn, GT, Mongoose, Lashout, Xcaliber, Bladez, E-Boarder, Tomb Raider plus many others. 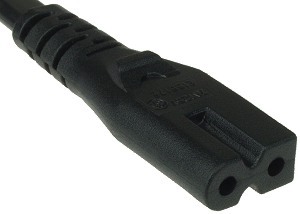 4-Pin XLR - 4-pin XLR connectors are used on newer models of eZip and IZIP 24 Volt and 36 Volt electric scooters and bicycles. 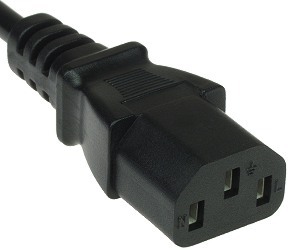 3-Port House - 3-port house connectors are used on a large number of 36 Volt, 48 Volt, and 60 Volts electric scooters including Electra® Voy, Tao Tao, Baja, X-Treme, Rad-2-Go, EVT, and E-Road plus many other brands. 3-Port House for Panterra and Gio - 3-port house connectors for Panterra and Gio electric scooters have reverse polarity from standard electric scooters. 3-Pin House - 3-pin house connectors are used on HCF Cute 002, Cute 301, and Cute 302 and electric scooters. 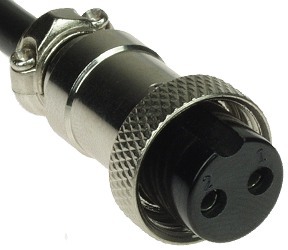 Coaxial - Coaxial connectors are most commonly used on smaller child-sized 12 Volt and 24 Volt scooters including Pulse, Razor, E-Scooter plus many others. 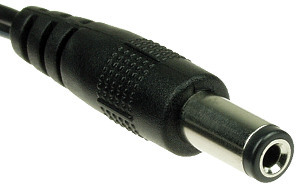 RCA - RCA connectors are commonly used on 24 Volt, 36 Volt, and 48 Volt electric scooters and bicycles. They are used on both lead acid battery and lithium battery chargers however the trend is for them to be used primarily on lithium battery charger. Polarized - Polarized connectors are used on some older model 12 Volt electric scooters. They are used on Zappy (Zap) Classic electric scooters and bikes and Sunpex E-Boarder electric scooters. We can install any connector plug on any battery charger. 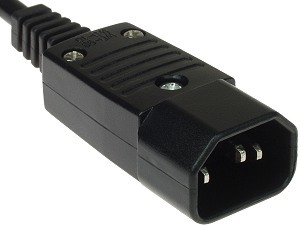 If the connector that you need is not listed with the battery charger that you need then please give us a call to special order it.